NikeDunk Sky Hi Wedge (Courtesy of JD SPORTS ). 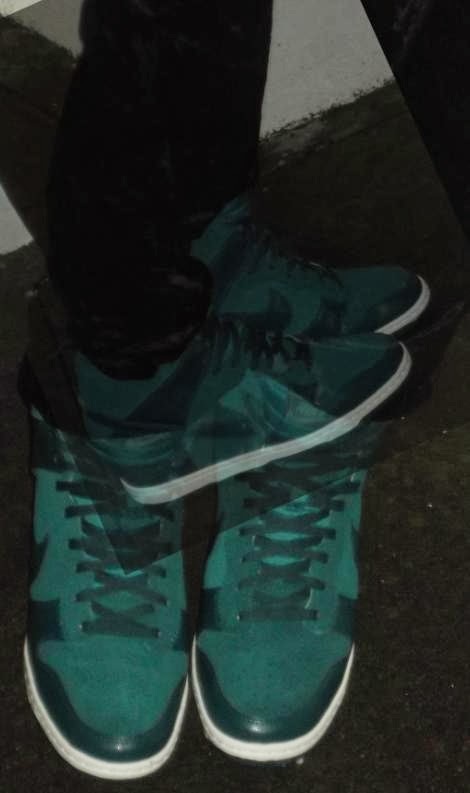 These Dark Sea Nike Dunk Sky Hi Wedge are the comfiest ! I was so excited when I received them and even tweeted a picture of them straight out of the box ! Perfect for winter instead of boring boots! The colour is vibrant and it was LOVE at first sight ! Teal blue has always have been one of my favourite colour and I cannot wait wearing them again with brown skinny jeans and a printed shirt. These ultimate feminine trainers made of leather and suede exists in several colours and I'm planning on purchasing a black pair and a funky printed one ! My friend I was visiting previously purchased a Nike wedge trainers in grey and absolutely love mine. 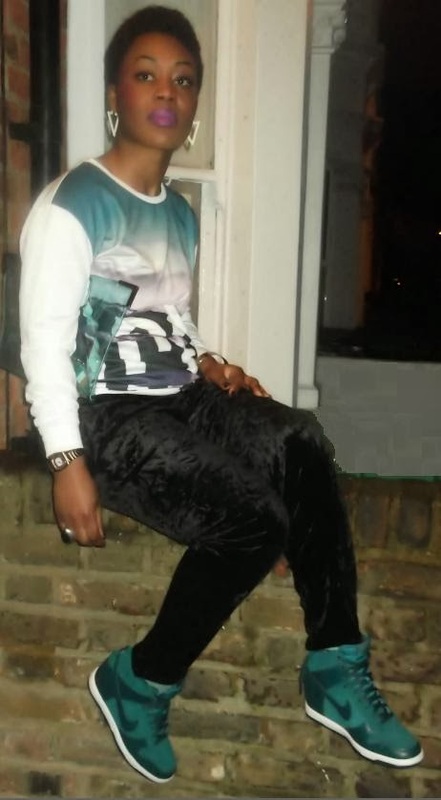 I paired them with some very comfortable and I think stylish velvet jogger from H&M and a colour appropriate sweater from Primark. I love wedge trainers and worn a brown leather pair on a previous outfit so these little beauties from Nike are perfect in my collection. They're still available both in stores and online on the Jdsports website so have a look before it's too late ! They are also on Twitter and Facebook. How would you wear yours ? Any other colours taking your fancy ? So edgy !!! :) Love your earrings and that lipstick is bomb !